Now I understand Shocker Toys has gone through many stumbling blocks as a business, but in the same moment I am displeased that Mr. Gone doesn't have a place on my shelf... so it is definitely a Love/Hate relationship. I love my figures (Maxx and The Tick) and I hate waiting for something that should have been delivered LONG, LONG AGO! While reading about Shocker's recent exploits, I grabbed my Maxx which was sitting happily surrounded by Isz of many varieties. I could not keep from smiling. Image had a big influence on me in the early 90s and the Maxx was artistically one of the best and most interesting books that they had. Now, I love Jim Lee. (thankfully he is finally drawing JLA. His X-Men is iconic to me.) I have respect for McFarlane. Liefeld, why did I like him... but I did. I admit that remorsefully. 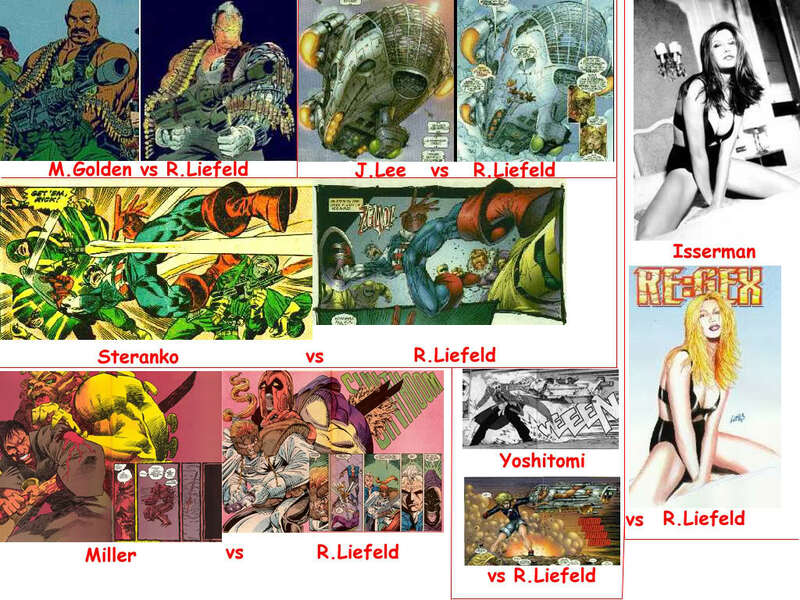 Sorry Liefeld, but anatomy is important. But Sam Kieth was someone different. And different is good. I'm sorry to move so far away from the title of this review... back to the Maxx. I have a lot of love for the Maxx. His comic. His TV show on MTV. I loved it... RUN, RUN, RUN, AND JUMP! (I'm sure that isn't correct, but that is how my mind remembers it!) Such found memories of the Maxx and the evil Mr. Gone. Now, I need to watch it. I bet my wife won't think as fondly of it as I do, but it must be done! Read about the Maxx here: The Maxx! Shocker Toys. Slow to produce their products. But damn, I love the outcome. I personally have the Maxx and the Tick and I had to buy all of series one to get the upc's to hopefully someday if my address change goes through get my Mr. Gone. Seriously, I LOVE these toys. The articulation is great. Some of the joints pop if you move to far but they easily go right back in. The plastic that was used in the casting is almost the perfect mix between firmness and elasticity. Except... except the darn head post. I popped off the normal head to change to the Outback head and the neck post pushed in! But... the head honestly doesn't need to be anchored for the socket to hold it in place. Thankfully... And you can buy him here: The Maxx re-release! Now there are a lot of negatives in the previous text, but I really do love this figure. I can't say enough about it. I LOVE IT! Thanks Shocker Toys for producing some more obscure characters for us and I hope that you can stick to your release schedules in the future. Articulation so good you can roll him into a ball!! Shocker Toys vs McFarlane Toys! OnePerCase review by Jason from the Outback!